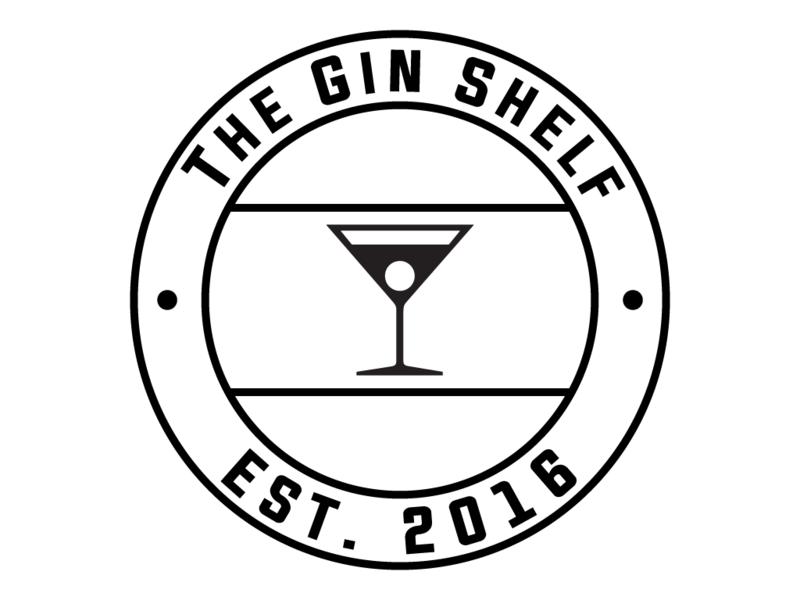 In Part 2 of my chat with Vic we discussed the highs and lows of being a one woman operation, why gorillas feature on the bottles and what surprises you can expect from Graveney Gin in 2019. It’s my hope that the interview will help get you a little better acquainted with Vic and her gin, ahead of having the opportunity to sample it for yourselves at Junipalooza 2019! 7. What’s your favourite thing about the gin scene? I think it’s the amount of people that are getting involved and are passionate about gin. Alongside gin distillers, I love seeing Bloggers, interviewers, and people just researching in to the industry – because they all have a pure and genuine passion for the actual product itself. Not just because they want to be seen drinking it because it’s ‘cool’ (that drives me absolutely mad! – I’ve been drinking gin since before it was cool to do so, and I’ll be drinking it after it’s cool). I’m very much a pro-innovation person; t’s the only way that we grow. It’s so interesting to watch how people are taking something so classic and ‘old school’ but delivering it in new and exciting ways. 8. Are you still a ‘one woman operation’? What are the highs and lows? I am indeed still a one woman operation! You’d think that would have been one of my ‘lessons learned’ from the previous question! I pretty much do everything myself, which I why I have a ‘mean set of guns’! The highs are that I get to enjoy a lot of shocked looks when I tell everyone that I’m a ‘gin distiller’. I do the labelling. I do the website. I do the Social Media. I do the deliveries. And there are no ‘WE’s’. I get quite a lot of emails asking to speak to the Marketing Department – and I have to respond with ‘you’re speaking to it!’. I have to put a lot of hats on – which can also be one of the lows. Especially when some of those hats don’t fit as well as others. I think being a one woman operation, you don’t have a lot of opportunity to bounce ideas off somebody else or share the load. Or if you’re feeling unwell (like I am at the moment! ), you don’t have the benefit of ‘a problem shared is a problem halved’. And in not having any colleagues to share banter with, I guess it can get a little bit lonely in the distillery (cue the violins!) – so Pod Casts and music are essential. I’m constantly dancing & singing! Having a dog helps as well – and I don’t even have to pay him! But the ‘highs’ have also been trying to find people that can do my ‘lows’, and help me out along the way. It’s such a massive help when I can send my photography needs to someone who can do it for me in a matter of minutes. Or contacting local PR and Marketing teams who can help me out on ideas & refresh my thinking. I love people and networking and making new friends, all which are made possible through creating my gin. There is a lot of pride in knowing that this is something that I have created from start to finish. 9. What’s been you’re biggest challenge since starting out? Any lessons learned along the way? I think regardless of whether you’re in the gin industry or not, the biggest lesson is that you only know what you know at the time. I found that quite hard at the beginning, and it was a real learning curve. There were things like not knowing how to pour the alcohol from my containers, and ending up spilling a whole bunch of those all over the floor. That was a harsh lesson to learn. But it’s actually the regulations surrounding the Gin Industry that were probably the hardest lessons. And they’re not the nicest lessons to have to learn! Getting the Alcohol Wholesaler Registration Scheme (AWRS) stuff was probably my biggest (and meanest!) lesson that I learned. Then you have things like HMRC, premises councils, Health & Safety, accreditations, the list goes on. All of these were big challenges, but you need to get them right from the beginning before you start out. Most recently, it has been about having to continually push and have a voice for your gin. I’m not a natural sales person, and I find that having to be that BIG voice can be a challenge. But you have to go outside of your comfort zone and learn how to do new things. In terms of positives; when you ask for help, people generally do just that! I’ll often use Twitter to voice my problems, and you’ll be surprised how many people will make contact to offer advice, like ‘this is where you can get your bottles from, because they’re being discontinued’ (which is my current challenge at the moment!). Phew! So it turns out quite a lot of lessons actually. This was quite therapeutic! 10. In a market that continues to see a huge increase in new brands and gins hitting the market at a relentless rate, what makes Graveney Gin stand out? As I started my Maternity Leave, I thought I’d created really good momentum! I’d been part of Junipalooza 2017, Imbibe, been to all these events, done A LOT of festivals, built up my contacts… I thought I had made a bit of a mark, and that people ‘knew me’. But coming back I was gobsmacked by the amount of competition, new gins, new twitter handles – it took me a really long time to get my head around the fact that I was no longer just a ‘little brand’. Because everyone else was a little brand that had launched and were making incredibly aggressive ways in to the gin world – which isn’t really my nature! But I think that Graveney Gin really does have a unique place in the market. Graveney Gin is a ‘Nano Batch’. Because it’s tinier than a Micro Distillery. It’s 100% organic – right from the start, I’ve always had a passion to drive that through. It’s also charity based, so it’s a ‘gin with a conscience’! And so far I’ve managed to donate a total of £8,000 to ‘Gearing Up 4 Gorillas’. It’s really important to me that this business is successful, because I want to make a difference to the charity I work with. Each of the gins that I create will have a charity link to them. I think it’s vital to care about something and to want it to do well, not because you want to reach the £1m mark and have an Island (…which I do still want – it’s going to have a Helicopter and everything! ), but also because I want to make a difference in the world. Also – it’s delicious! (I think so at least!). It’s 45% ABV, which helps it retain a lot of the flavour and you can taste the gin through the tonic. I’m all about value, whilst also wanting to be at the higher end of the market and to be seen as setting a bench mark. I hand write every single batch number on the bottles, I hand label them, I seal them, I carry the containers to the delivery points, I Royal Mail all of the bottles – it really is a one lady bandwagon kind of business! I think that’s what Graveney Gin stands for. And I think that’s what makes the brand different. 11. There’s a strong sense of charity behind Graveney Gin, with the link to ‘Gearing up 4 Gorillas’. What’s the charity about and why is the charity link so important to you? Every gin I produce will always have a charity attached to it. I think charity has always been driven in to me, and I have to thank my Dad for that. I’d always see him doing charitable work when I was little, and I loved hearing his stories when he came back from different charitable organisations. When I came up with Graveney Gin, and I thought about what I wanted the brand to stand for, I knew that I wanted to make a difference to the world rather than just power through and make money. That’s not what drives me. I need to make sure that if I get knocked over by a bus tomorrow that I’ve made a tiny difference to the world. My motto is that ‘if I don’t love it, I don’t do it’. Gorillas are my spirit animal – I absolutely bloody love them. They’re endangered and I really wanted to put any money that I could in to protecting them. So I spent an awful lot of time researching and contacting charities, until I came across a small charity ‘Gearing Up 4 Gorillas’, also run by a one woman band. And she’s just the most amazing human being. Based in the Democratic Republic of Congo, she started the charity not only to protect the Mountain Gorillas, but also the Rangers themselves (from the threat of poachers, as well as the political situation). Gearing Up 4 Gorillas is completely, 100%, not for profit and everything that is donated will fund looking after orphaned gorillas, providing veterinary support & refrigeration units for the vaccinations. I love an underdog, and everything they stand for, and they’ve been absolutely delighted with the help. It’s something I’m really proud of. I really want everyone to check the charity out, and if they can donate – that’s brilliant! 12. What’s in the pipeline for Graveney Gin in 2019? Any exciting future plans you can share? Yes! So I have just released the glassware for Graveney Gin – the Copa style glass, which is really popular, and the Copper mugs, which is how I drink Graveney Gin at home (it’s either that or a pint glass!). They look absolutely beautiful! I’m currently working on two recipes to release hopefully within the next couple of months, and hopefully (fingers crossed) before Junipalooza! Previously I didn’t have that pressure of ‘oh my god, it needs to be amazing because customers are going to be drinking this’. So I’m putting a lot of pressure on myself to make these the way that I want them to be. One is going to be fruit based, and my modern take on an Old Tom. And the other is going to be more of a herbal gin. But both will be very juniper led! I’m currently working to align the herbal gin to St. Georges Hospital (think ‘24hours in A&E’), which is based in Tooting. Though I’m not quite sure which charity I’ll be aligning the Old Tom gin to just yet. And both will be named after locations in Tooting, to keep within the brands theme. I really hope that people will like them, and they’ll receive the same wonderful feedback as the original gin! I’m also looking to get Graveney gin out further afield and increase my reach. I’m getting the demand and now just need to find the right partners to work with, who understand the brand and are able to champion what it stands for!